For 100 years, Evangel Hall Mission has helped homeless and socially isolated individuals find a safe haven from the streets. 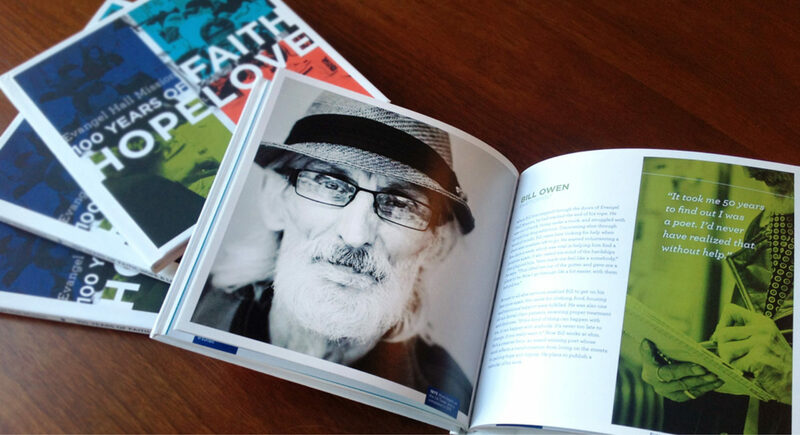 ehm works compassionately to feed, clothe, and shelter, as well as provide material, and emotional support to help people recover from the hardships that they face. 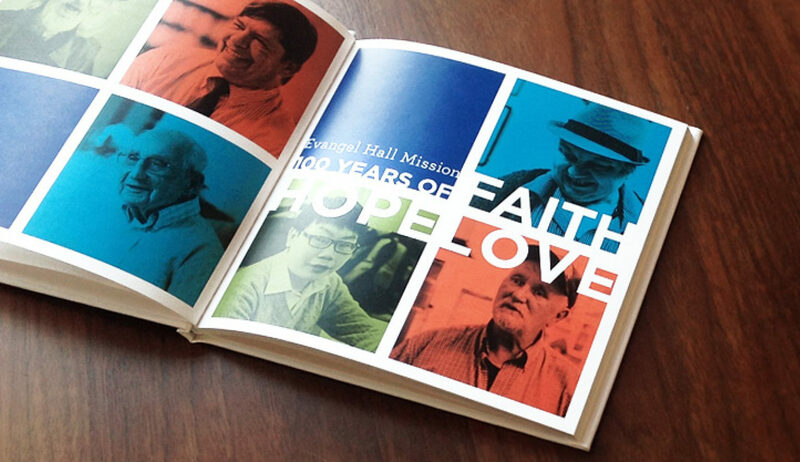 To celebrate their centennial year, the Haft2 team worked to conceive, design and produce a 78-page book exploring the history of ehm. 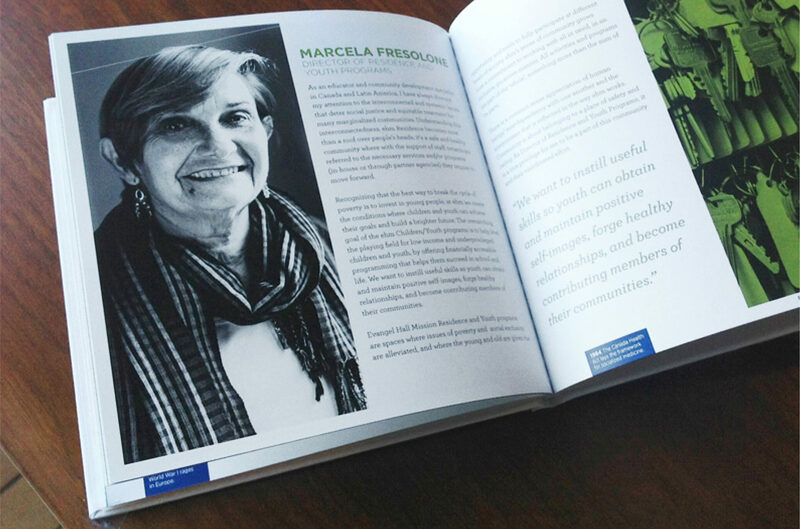 The book is made up of a collection of new and historical photos as well as personal stories from those whom ehm has touched the most, from volunteers, donors and beneficiaries. 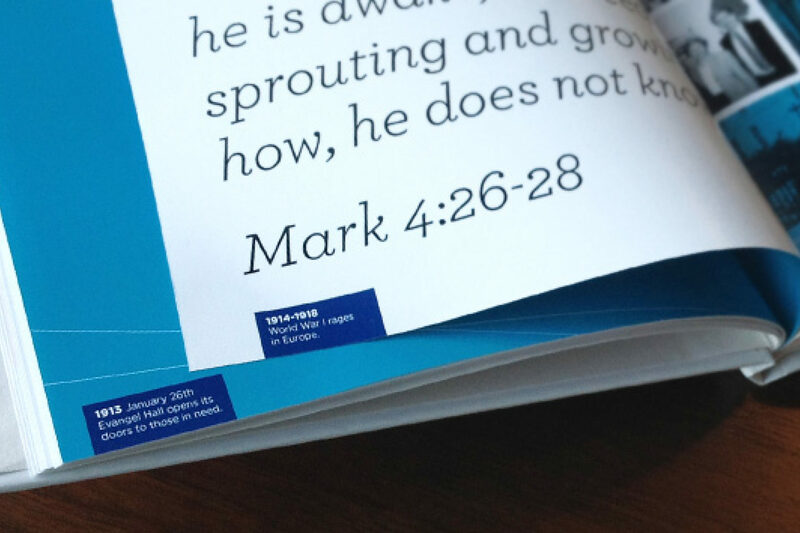 Faith, Hope and Love, are the pillars of Evangel Hall Mission, and in these pages they are expressed and celebrated through colour, line, typography and carefully written and designed pages. Proceeds from the sales finance the continued operation of ehm and the incredible service they provide.